You are at:Home»Living»The Best Cheap Acer Laptops To Buy For The Money? Acer is a brand that many people buy, and love. In today’s blog post I have gathered the five best Acer laptops that will definitely be worth your hard earned cash. I do want to mention that in most cases if you are looking for a high end computer that has a ton of processing power, or an amazing video card, then this is definitely not the brand for you. That is, unless you buy the Acer Predator, and I guarantee you will pay out the nose for it. Related Reading: If you can spend $1,000 or more on a laptop, check out these powerhouses with 32gb of RAM & SSD drives! However, when people, or even companies buy an Acer, they typically are cost efficient for the jobs that they need done. This doesn’t mean you are going to go out and buy a low-end model and start using high-end video software on it, or running the top of the line games that were just released. Acer laptops are good for your everyday office work. They are good for sending and receiving e-mails, software that doesn’t hog resources, writing documents, and browsing the internet. 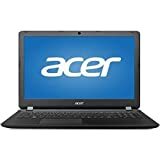 These machines are also great for using different software to create code with, but most Acer machines cannot run at lightning speeds like other custom models. That being said, is it worth it to buy an Acer machine? Absolutely. These machines are great for companies looking to expand their network of computers without paying outlandish prices by other manufacturers like Asus, or iBuyPower. If this is a computer you will be using strictly for professional services, then I suggest you don’t overthink it and just go ahead and give this company a shot, because you definitely will be getting your money’s worth. First, let’s start off with one of the cheaper laptops Acer has to offer, and don’t worry, this laptop will still get your jobs done, but it comes without a big price tag. You can buy this model on Amazon for under $250 which is a great deal, and I promise it won’t disappoint. The laptop itself comes with four gigabytes of RAM, a large fifteen inch display, so you won’t be looking at a tiny screen either. Furthermore, you will also be able to use Windows 10 Home edition with this purchase, and that alone almost justifies buying the machine itself. The price of Windows 10 is well over one hundred dollars, and I want to say it is almost half the price of the laptop itself. At any rate, I believe that is a steal, don’t you? Finding a machine that can still run fairly quick, and run most software without hesitation is hard to find in the world of technology, but Acer has found a way to bring it to your doorstep without costing you, or your business thousands of dollars. Anyhow, this model also comes packed with a massive five hundred gigabyte hard drive and an Intel Celeron N3350 processor. Not bad for the price, not bad at all. This is definitely a machine I would want in my office because as I mentioned in the introduction, it will probably do just about anything you need it to besides running resource intense software. All in all, it is an awesome buy. Okay, so the first model, the ES1-533 you might have thought was cheap, but I have an even bigger surprise for you today, because I have found an even cheaper model on Amazon that will probably do just as much as the previous model we just talked about. The Acer Aspire One’s price is way under $200 bucks. That price should blow your mind, because I know I am in awe just thinking about how cheap they can sell this thing. Remember how I said the ES1-533 was worth the price specifically because Windows 10 Home edition probably costs half as much as the laptop itself? Well, Windows 10 actually costs more to purchase on its own than this laptop, period. Worth the buy? Absolutely! This is the refurbished version, but that’s okay, because at Amazon each machine goes through a grueling testing process that ensures these products work like they were bought brand new right from the factory. So, you are probably wondering what to expect once you purchase this little bundle of joy, and I am going to give it to you straight. You do get what you pay for so don’t set your hopes too high, or else they might get crushed, but with that being said, this is still a wonderful little office companion. Heck, it is even a wonderful starter laptop for the kids. If it ends up broken you don’t have to worry about losing too much money, and it could be easily replaced. When you pick this up from Amazon you can expect it to come with a HDMI hookup, a webcam, Bluetooth compatibility, a fourteen inch high definition display, an intel Celeron 1.6 gigahertz dual core N3050 processor, and a ninety day warranty. That is more bang for you buck than you will probably get from any other brand, and I am not kidding whatsoever. This price is far too low in my eyes, but that means good things for you customers out there! I forgot to mention that the machine itself also comes with on board Intel high definition graphics. Sorry, no graphics cards for you gamers out there, but you don’t buy Acer laptops to play games, but you do buy them to do work! Remember guys, this article is strictly about machines that you can use professionally at a low-cost investment. Please keep that in mind, and don’t bash them for their lack of entertainment capabilities. The Acer Aspire One also has something else very special in store for you guys out there, and that is the fact that it is extremely light weight. Weighing in at only three pounds, this device is light enough to carry around all day long. I guarantee if you had to lug this thing around all day, you probably wouldn’t even break a sweat. The only con to this purchase is that you won’t have tons of room to save much data, because it only comes with a thirty two gigabyte hard drive. Just remember to only download what you absolutely need, or else your hard drive space will get eaten up in a heart beat. Moving on, we decided to change things up a bit, and review the Acer Chromebook 14. If you want to look like money without having to spend much money, then this machine is the machine for you. This superstar comes in a gold color that is made strictly from aluminum which also makes this product light weight as well. It weighs just as much as the Acer Aspire One which is a total of three pounds. This means easy mobility, and you won’t have to break your back if you have to walk with it very far. Unfortunately, this model has just about the same specifications as the Acer Apsire one; however, it costs a little more. You would spend about one hundred and fifty dollars more for this model which would come to a total of just under $300 directly from Amazon. Just so you know we have all of our ducks in a row I will go ahead and list the specifications just for the sake of accuracy. The Acer Chromebook 14 has a fourteen inch display, four gigabytes of RAM, thirty two gigabytes of memory, a display resolution of 1920×1280, and a chrome operating system. With only thirty two gigabytes of hard drive space operating on chrome I wouldn’t suggest this as one of the better models listed in this article. Chrome operating systems are known for being very linear, and they won’t operate very much software outside of the Google playstore. It does come with Intel HD on board graphics, but what is the sense when it doesn’t run any kind of Windows games? I know what you are thinking, “it runs Google Play Store games”, and you are right; however, what about the other Windows software you might want to run for your daily work? You are most likely out of luck, although some Windows software will run on this; but, most likely it is a toss up. That being said, if your work has applications that do run via chrome operating system, and you can find great use for this product, then by all means, go buy it. I will say this about chrome operating systems, they do run quite fast. Also, when you buy a Chromebook from Acer you will probably not be bogged down with added software they put in the machine, because Chrome is designed to be a minimalist operating system that will probably run faster than the Acer Aspire One, but there are draw backs with everything and it is personal preference. My personal opinion on the matter is that I wouldn’t spend above one hundred and fifty dollars for a machine that only has thirty two gigabytes of hard drive space, and if I was unsure if it would run exactly what I need. With most of the cons out of the way, you should also be reminded that the display on this laptop is full high definition which means crisp, crystal clear picture quality, and Amazon will refund your money if you decide you don’t like this laptop if you send it back within thirty days. That is a pretty good deal, because it shouldn’t take you thirty days to decide if you like what you bought or not, am I right? I know I am right, because if it takes you thirty days to make a decision about your purchase, then you aren’t using it enough. If you don’t mind shelling out closer to $500 dollars, then this laptop might suit you better. This thing comes jam packed with a 15″ Cine crystal LED high definition display, and the picture quality on this machine is outstanding. The brightness alone is out of this world. This machine will also let you play most newer games out there as well. Do you know why? Here is the kicker, it comes with eight gigabytes of ram, 2.3 gigahertz of processing power, and a giant hard drive. The hard drive itself can hold up to one terabyte of data. I don’t think I have ever owned a machine where I have actually used one terabyte of hard drive space, and I believe this is one of the best work horses on the market for the price. You can’t beat this kind of price with everything that comes with it. Not to mention, you will also have the luxury of running Windows 10 Home edition, and we have already discussed how much the operating system costs by itself, so this purchase is definitely a no brainer. If you can afford to get a few of these bad boys for the office, then I highly suggest you do so. This machine weighs five pounds which is a little heavier than the previous two models, but that really isn’t bad at all for a laptop. There are plenty of laptops out there that weigh ten pounds or more, so no loss here. This model also comes with a 8x SuperMulti DVD drive that can also burn, and rewrite information on CD’s. This is convenient because this would allow you to burn important data onto different disks if needed which would always allow you to have a backup that could always be easily stored, and easily found. If I was a tech newbie, and didn’t already know the price of this product I would probably guess that it was worth at least one thousand dollars, and that would be my low estimate. That is what I would be hoping it was worth if I had to spend money on it. Acer is great at making cost efficient machines that are easy on your wallet, and you won’t be sweating once you press that checkout button. Furthermore, did I mention that the processor is actually a dual core processor? So, instead of getting your regular 2.3 gigahertz of power, instead you will be technically getting 4.6 gigahertz. That is a lovely surprise for all of you out there thinking about buying this thing, and I have to say this one is starting to rank at the top of my list. If you want to drop around $600 on a machine that uses an SSD drive instead of a typical hard drive, then consider purchasing the Acer Aspire S13. Solid state drives run at much higher speeds than your typical everyday hard drive; however, this model only comes with two hundred and fifty gigabytes of space which might or might not run out very quickly, depending on your work load. Moreover, you will be getting a lovely Intel iCore 5 processor that runs at a maximum of 2.8 gigahertz, eight gigabytes of LPDD3 memory, and of course Windows 10 Home. Shave about one hundred and fifty dollars off if you count the included operating system; however, you can also expect about eleven hours of battery life. This thing will last throughout the longest of work days without you ever having to recharge it. Definitely a great machine to start the day off right. However, does the battery life and the solid state drive justify the six hundred dollar pricetag? The short answer would be yes, but since there are much more affordable options like the Acer Aspire 15.6 inch I would have to tell you guys to pass on this one. That is, unless you are too lazy to plug your machine into the charging adapter, and I doubt any of you are. The Verdict: Which Acer Laptop Model Should You Buy? We have discussed our top five models regarding the Acer brand, and now it is time for you guys to know our absolute favorite pick. I do like the cheap listing price of the Acer Aspire One; however, most of us need something with just a little more kick, so today’s winner is going to be the Acer Aspire 15.6 inch because for under $500, it really is a tiny investment for such great hardware, and great utility. You want something that will do just about anything, and you want it to run at a decent speed. 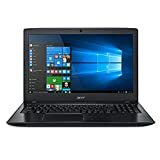 If you are working all day on your laptop you can’t afford to be running at the speed of a tortoise, so do yourself a favor and go on Amazon, then search for the Acer Aspire 15.6 inch. You will be doing you, and your clients a huge favor!